I have always cherished that you ARE there. a steadfast base of fun, banter AND comfort for me. When Bjørn was in Afghanistan I knew I had compassionate friends that I had never met but I still knew. embracing and praying and determined that evil will not be victorious. 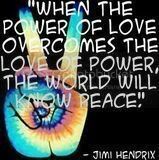 Honoring lives lost we will be what we always were: peaceloving, including, outreaching. that there has to be a time for mourning countrymen. Eva Mari-you don't know me but I've read alot of your posts as we joined Gals about the same time. I rarely post but wanted to express my sympathies to all of Norway. Your country seems like it should be the last place that hate of this magnitude should exist. Not only is Norway a beautiful place but the people are so kind and welcoming. We so enjoyed our time there and felt like we were honored guests-I'll never forget. And I will be back for after visiting the Resistance Museum I know the people of Norway will not bow to this act of hate but will rise above it. Norway will not allow those young people die in vain. Our thoughts and prayers are with the people of Norway. God bless you all. Sweet sister, after the news broke, I immediately said a prayer for the victims and their families. I also added prayers for your people and for you and your family. Acts like this are beyond reason and there can be no excuses. Prayers continue for all of you in this time of national grief. Dearest Nordic Girl; I have been watching the horror on the news and send you my prayers for your beloved Country. I hope that justice will prevail and souls will finally be able to rest after such a tragedy. My son who is in the Canadian Military; was sent to Norway about 20 years ago for about a month "Brave Lion?" exercise between the two Nations. He said that the Country was very friendly; much like Canada and he felt right at home there. Eva Mari, it's always good to 'see' you on the Forum! My prayers are with you and your Country at this difficult time. Eva Mari, my prayers are with you and all the people of Norway, especially for the families of the victims. Unfortunately, we do "understand." Please know that the world shares in your grief and anger. On an individual level, you're the first person I thought of when the news broke and I'm relieved to see you posting a "lighter" thread as opposed to something "darker." Congrats on your Big #5! Your wee bits of graphic art are still appreciated. We'll be here when you're able to return. So sorry this happened in your beloved country. Many in the US know exactly how you feel. 9-11 woke us all up to a kind of evil that defies explanation. I pray that you find comfort and that peace will be restored to your borders. EM, when I first heard of this tragedy I thought of you and said a prayer for the people involved and for your countrymen because I know how much they are suffering from this also. It is a terrible feeling to be violated like this and lose your peace and contentment forever more. 9/11 changed everyone's lives here and it will never be the same. I know that your life and the lives of all the people of Norway will also never feel the same after this horrendous act. Know that my thoughts and prayers are with you and your country. Senseless horrific tragedies like this are just devastating! I pray for those that were taken and those who are left behind to mourn. We ARE ALL CONNECTED, and when part of the world experiences a loss we all do. Please take time to heal, we understand completely. Congrats on your 5 years here on GALS! We're here for you whenever you feel ready to come back. Thank you so much, annabanana. As you typed we will not allow those young people to have died in vain, - we will be MORE open, more democratic and more loving. Thank you so much, Texas-Suzie. When there was to be a march Monday there were too many people in the streets of Oslo. All had red and white roses and sang together. As our crownprince said in his speech: Today the streets are filled with love. Thank you so much, may! We often hear this from visitors from Canada, - our nature and the core of our souls seem to be from the same roots... I remember artists visiting saying that approaching Oslo over the waters seemed like coming home. Thank you so much, Barb. Had I felt less I could have expressed it better... I feel your warmth across the divide. You and me, Elissa... I'm crying here... I'll return later. My heart was saddened to hear of the tragedy in your beautiful country. They way your country gathered together in love is an inspiration to all. Sending love and prayers. Congrats on your 5 years with GALS. I'll be back in my usual ways but for now I'm sure you will understand that there has to be a time for mourning countrymen. Thank you so, so much, Holly. I know you understand and it so saddens my heart that people all over the world do. Thank you so much, Swannie! Last week so many were laid to rest and we have read so many stories of courage and selflessness and love. I know we will overcome this but I still cannot wrap my brain around how one can calmly walk around, look panicked children and youth in the eyes and shoot... The evil coward of a looser ( I will not make his name more known )shot many in the back as they were trying to run or swim away as well. The priest in the prison said that albeit his actions were more evil than we can comprehend there is a person in there somewhere, a child of God that can hopefully be reached. My darling Kathy, we will build a normal day again and the youth will next summer gather on Utøya. We will not allow this act to ruin what we had and still have, we will conquer this together. Thank you so much, Cheryl. The media is covered with the individual stories and the numerous ceremonies burying all too young Norwegians after this tragedy. Still we see so many of them reminding us that there is a tragedy of much larger proportions developing in Africa. We can have more than two thoughts in our heart so there will be actions taken to help out abroad as well. We ARE all connected. Eva Mari, my friend, you were the first person I thought of too when this tragedy happened! I'm so sorry and I know I'm late to this thread but you're presence here is always so much fun! I always look forward and appreciate your comments on my poetry too! It always means so much! Some sentiments are missed in translation but you should get the core of this song. Thank-you kindly for the links; you and your beloved Country are in my prayers still..God Bless. Thank you, - I still feel partly numb... Today more were laid to rest and among them 18 years old Monica. Before she left for Utøya she and her family were in her room listening to Chris Medina's "What are words". After her death they asked if he would sing at her funeral and he came from the US and did so beautifully. When something terrible happens in another part of the world; we see it on the news; then tend to forget that so many lives (families and friends) are changed forever! Like the Titanic; one fateful day in history marks the lives of many from that day on. We tend to see it as just "one" story; when in reality so many people have been touched by the horrific event. Thank-you for sharing with us and showing us that life can be changed forever in an instant; and that every day is a blessing for those who's lives are unmarked by such a shocking tragedy. We are a soft lot so usually we punish in what for you may seem a laughible way, but he will be locked away for good whether he is found insane or not. Firstly possibly a time in prison and so or directly to an institution. I feel so sorry for his family, - what a shocking horrible thing to have happen to you! Oh EM! I am so sorry that I'm so late with my thoughts and shared horror with the rest of the Gals and world for that matter! I too thought of you on this day I guess because we ARE connected and we are truly family. A lot of sadness in this world as of late and many horrific things happening to the point of us not able to even fathom WHAT or WHY?? I shed many tears with you my friend and especially for the poor innocent young adults that were so viciously attacked ......again we ask WHY!! We are a soft lot so usually we punish in what for you may seem a laughable way, but he will be locked away for good whether he is found insane or not. Well here in Canada; we don't have such a thing as the "death" penalty. More often then not; criminals who do terrible things either commit suicide (Like in the massacre at the Poly Technique DE Montreal where about 16 young women were shot dead by a crazed gun man; or they get examined by Psychiatrists and deemed insane like the recent doctor who killed his two little children (about two months ago) then sent to prison for mentally insane. However; they do eventually get released and sometimes re offend; which makes it seem like "justice" failed the victims in that particular case...I pray for the victims and also for the family of the criminals that do such terrible deeds. The mind is a fragile thing; and when it snaps; no one can predict what will happen until it's too late. In such circumstances I just say "There but for the Grace of God...go I!" Thank you all so much for being there with us! There is no death penalty in Norway as well and I stand by that. The only exception was after the second world war where some ( like Quisling ) were killed. He was high on some medication as he did it but this was intentionally so he wouldn't "chicken out" and to that effect he also listened to very high and thunderous music via ear plugs. 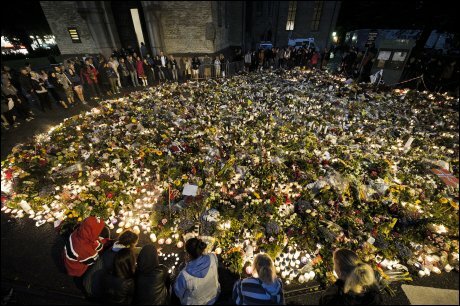 These are the victims, - 69 at Utøya and 8 in Oslo. Still 15 severely injured under treatment with numerous operations. Please allow me to add my sympathy and sorrow to the many here who have expressed condolences to you and your countrymen. Your grace and eloquence expressed during such a senseless and horrific event are inspiring and offer hope to all who read it. Congrats on your 5th GBGALS anniversary! You have been and continue to be a warm and welcoming member here. Thank you so much, Snog! not the insane coward smiling pleased with himself after his horrible actions. 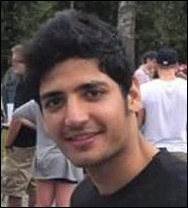 This is Karar Mustafa Qasim, 19 years old he was killed at Utøya. "Two and a half years ago he managed to escape from Iraq. and was a light for others, always willing to lend a hand and help out. for a chance to contribute in his new country." Excerpts from memorial written by a friend. 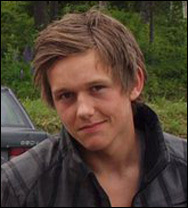 This is Sondre Kjøren, 17 years old when he was killed at Utøya. "Despite his young age he had already made his mark in many ways. where he lived and there was a great surge due to his unbeatable enthusiasme. and a new festival for music. He was to live in Scotland for his exchangeyear as a student. But first Utøya, to meet new and old friends. We will always remember his warm dark eyes and his smile. But he was even more beautiful inside." Excerpts from memorial written by his family. 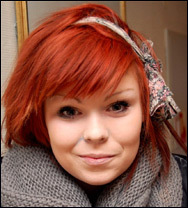 This is Carina Borgund, 18 years old when she was killed at Utøya. "Carina was the family's baby and filled every room with smiles and laughter. Generous, ambitious and caring. An excellent student with big plans. She wanted to study abroad and through politics make a difference. She did not live in vain, she made a difference and left lasting marks. Mum and dad have lost their ray of sunshine. We have lost a dearly loved sister and best friend. Nephews have lost their adored aunt. 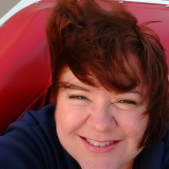 Friends have lost a loved joyfilled heart in their midst. The void can never be filled but the memory of her smile and laughter will always be around. watch her ideals still being fought for." Excerpts from memorial written by a sister. Ronja Søttar Johansen, 17 years old when she was killed at Utøya. "Ronja was the girl always putting others before herself, there for everyone. Ardently there for all good projects, small or big. She had a strong faith and fought for the human rights and animals'. but also in her music that meant so much for her. Ronja was colorful, happy and querky. She didn't mind being different and had a style of her own - she was unique. There is nobody like her. Ronja was the life of the party and always with a witty remark. She gave everyone a chance and had friends in all kinds of circles. She already had a network most of us can only dream of. There is a new angel in Heaven. Not white like the others but colorful and querky. She knows our grief, we want her back home. She whispers: My darlings, we will meet again." Excerpts from memorial written by her family. 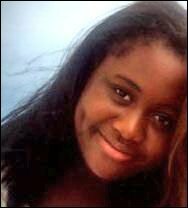 This is Modupe Ellen Awoyemi, 15 years old when she was killed at Utøya. "Dupe Ellen was a ray of sunshine and would have been sweet sixteen in august. Always kind, active and filled with joy being alive. She sang in a choir, was a leader at church and entering politics. She cared for others and had a special way of making others feel happy just by being there. Dupe saw the world and was ready to make the plunge. and much time was spent looking over where to educate herself. 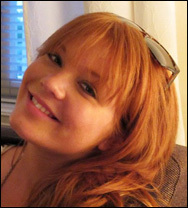 Dupe had long looked forward to Utøya. awesome it all was and how much she enjoyed it. Now all this has been taken away from us. It hurts so much and we cannot come to grips with this being real. for us and all human beings. and her love and lust for living will inspire all who knew her." Thank-you kindly for sharing these wonderful young people's stories with us; Heaven surely has a lot of young and talented Angels now more than ever before. As wars continue around the world and acts of violence erupt abound;it is frightening to see how so many lives are cut short in the process. My heart goes out to them all.